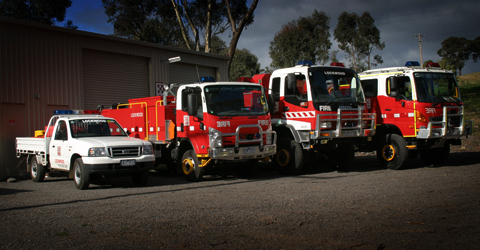 Lockwood Fire Brigade has been a voluntary service committed to ‘Creating a safer community’ since 1950. The brigade responds to more than 30 incidents a year. These include bushfires, building fires and other emergencies such as road accidents. We’re also involved in community education programs and visit the local schools and community groups. Our aim is to raise peoples fire safety awareness. We currently have 57 members on our records and welcome new members. We have a training night each Monday from 7:30pm and we meet on a Sunday morning for training and maintenance from 9:00am. The assignment area for the Lockwood Brigade includes a range of assets to protect including two primary schools, Happy Jacks general store, housing estates, rural properties and the Lockwood State Forest.